What are your favorite songs since the year 2000? 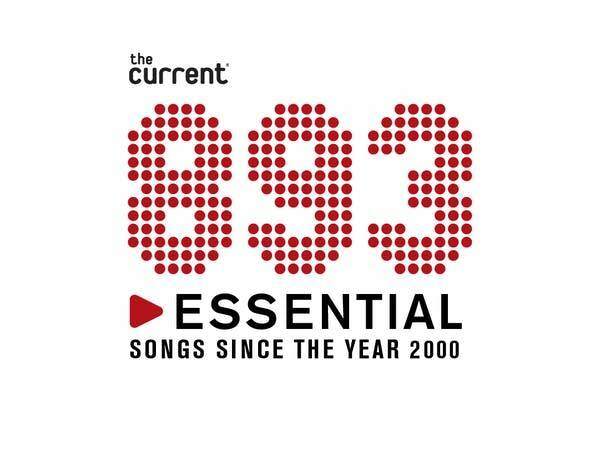 When you submit your Top 10 songs of the past 19 years, your picks will help program our 893 Essential countdown May 9 - 16. Use this form to submit your 10 essential songs since 2000 and enter the 893 Essential Songs giveaway between Tuesday, April 2 at 12 p.m. CDT and 11:59 p.m. CDT Monday, April 22, 2019. One (1) winner will receive one (1) Saint Paul Saints Baseball Prize Pack, including 8 ticket vouchers, 8 hats and gift certificate redeemable at CHS Field for $40.00. Three (3) back up names will be drawn. Please use Artist - Song Title format. Subscribe me to Cross Currents, the weekly newsletter from The Current. We will contact the winner on Monday, May. 6, 2019. Winner must accept by 10 a.m. CDT on Thursday, May 9, 2019. A.C. Newman - The Palace At 4 A.M. Deer Tick - Miss K.
Gorillaz - Andromeda feat. D.R.A.M. Mark Mallman - Who's Gonna Save You Now? Murs and 9th Wonder - L.A.
Paul Westerberg - Tell Me Who You Gonna Marry? Rilo Kiley - Does He Love You? Sharon Jones and The Dap-Kings - How Do I Let A Good Man Down? Stereolab - Self Portrait with "electric brain"
The Apples In Stereo - Go! The Bad Man - Disco! The Roots - Game Theory feat. Malik B. The Soviettes - Paranoia Cha Cha Cha! Zeus - Are You Gonna Waste My Time?